My favorite part of any fishing trip (other than being there) is seeking out and buying new fishing gear! some don’t but most of our clients take additional “weapons” to tackle the tiger and other species. Please note some lodges include tackle in our packages, some don’t and hire gear to you at an extra cost. It is important to note that tackle choice for the Zambezi is massive and we cannot expect lodges/houseboats to have a full range of gear due to their proximity. Lodges will supply basic rods/reels and some lures. We suggest that all clients take their own tackle so as not to be disappointed and to ensure they get a good crack at catching the most amount of fish. Tackle advice is available on our website and we will happily meet our Johannesburg clients at Mias Randburg. For fly fishing, a good nine weight fly rod is my personal choice, we recommend the superb TFO brand, these rods really do the business. Always try and get a 4 piece fly rod, as today’s technology ensure that they are just as strong as a 2 piece rod, and it makes transporting your rods that much easier. I recommend the following large arbor reel which should never let you down no matter the size fish: Shilton is a bullet proof tiger stopping fly reel that is proudly made in South Africa. It is relevant to know that any 9 weight reel you buy, should qualify for salt water fishing as well i.e. it must be treated against corrosion. If you are going to spend the money, rather get a reel that can be used for multiple conditions. You should take fast sinking, intermediate and floating line spare spools. Come April each year, I invade the numerous fly shops in and around Johannesburg as the Zambezi tigers-on-fly season is just about to begin! But there are so many choices to make - where to start? Here my golden rule of thumb… Early morning fly fishing sessions; I prefer dark coloured flies: blacks, browns, dark reds etc. Then moving onto mid-day I bring out the exotic bright colours: greens, yellows, bright reds, red/white stripes, chartreuse pinks etc, you name it tigers should nail it. All of the above flies seem to work quite well for predatory bream but casts must be made very close to the river bank and the fly must be allowed to sink before your retrieve. 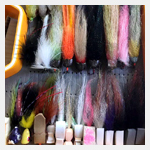 As a rule of thumb, the dirtier, less clear the water, the darker the fly pattern you use, and the faster and deeper the water the heavier the fly you use. SENSATION PRO SERIESTM, simply brilliant! 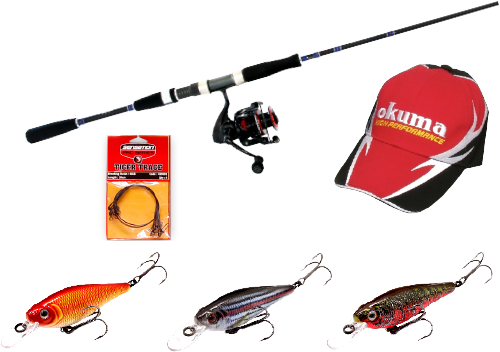 There is a HUGE selection of lures on the market. I am a great fan of the SENSATION PRO SERIESTM lures. Mix your collection to include shallow and deep runners with a variety of colours/shapes, you won’t go wrong. Lures are also used for trolling and this method usually demands a shallow running lure to avoid hooking up on hidden underwater structures. Over the years I have added some lure variation to my tackle box: Copper Spoons, Rubbers (not the ones you are thinking about! 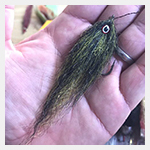 ), and jigs, are all proving to be irresistible for a hunting tiger. On a recent fishing trip to Lake Kariba I picked up on a “new” Zimbabwean method. The Zimbo’s put some fresh fish fillet (sourced from local fishermen) on the back hook of a spoon. I tried it ... devastating! There is only one "made up" spinning trace that I use and SENSATION PRO SERIESTM, the others are not just worth their salt. Talking of salt, the rule of thumb when using leaders is to use black or dark brown ONLY. Silver salt leaders just don't work on the Zambezi River, period! 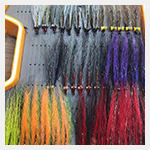 In terms of line go with either braid or conventional mono line - it’s your choice as either work well; 30lb breaking strain. “big knuckled” tiger pic that you have lusted after. I also take a finger shield for fly fishing and a beanie in winter!